The MRT Circle line (Line 3), The East Coast Rail Link (ECRL), Trans Sabah Gas Pipeline (TSGP), KL-Singapore High Speed Rail and the Sistem Kawalan Imigresen Nasional (SKIN). All scrapped or postponed due to issues with the costs. To quote Prime Minister Tun Dr Mahathir Mohamad, speaking of President Xi Jinping and other leaders during his five day visit to China in August: "They know we cannot this. "China knows very well that it had to deal with unequal treaties in the past imposed by Western powers ...so China should be sympathetic to us." RM1 trillion in debt was inherited from the previous administration, which forced the review of the mega infrastructure projects, but also to blame was the fact that there were "strange" debt-funded contracts. The Edge interviewed Mahathir in May, where he said: "The contractor must be from China and the lending is from China. And the money is not supposed to come here, but [kept abroad] to pay the contractor in China," he said, referring to conditions in the ECRL contract. The contractor was also paid according to a pre-set timetable, instead of amount of work done, an anomaly. State-owned China Communications Construction Co Ltd (CCCC) is the contractor for the ECRL, and the RM55 billion loan is from the Export and Import Bank of China (Exim). The publication reports that Mahathir also confirmed that some ECRL money had been used to retire 1Malaysia Development Bhd's (1MDB) debt and to buy certain companies. Companies that are linked to the now infamous financier Low Taek Jho. As for the TSGP and the Melaka/Port Dickson-Jitra Multi Product Pipeline (MPP) projects, which are worth RM9.41 billion, that were awarded to China PEtroleum Pipeline Bureau by Suria Strategic Energy Resources Sdn Bhd (SSER) on Nov 1, 2016, contractors were paid RM8.3 billion, which is about 88% of the project value. This was despite the fact that less than 15% of the work had been completed. Funded by loans from Exim Bank of China for 85% of the costs of the projects. The balance was funded through SSER's sukuk issuance, which is guaranteed by the federal government. Datuk Seri Najib Razak, the former prime minister and former Treasury secretary-general Tan Sri Irwan Serigar Abdullah were charged on Oct 25 at the Sessions Court in Kuala Lumpur with six counts of criminal breach of trust involving federal government funds amounting to RM6.64 billion. Two of those charges involve RM1.855 billion, used to the ECRL project, and the two gas pipeline projects in Peninsular Malaysia and Sabah. NAjib and Irwan pleaded not guilty to all charges. The TSGP and MPP have been scrapped, but the legally binding contract between Malaysia and the Chinese parties do not allow for the outright scrapping of the ECRL project. But without cost cuts, the ECRL will not be feasible. As for the KL-Singapore HSR, and agreement was reached with Singapore to defer the start date to May 31, 2020. Putrajaya has said that the project will cost RM110 billion, when the previous Barisan Nasional government estimated costs to be at RM72 billion. Then there's the Klang Valley Mass Rapid TRansit (KVMRT) Circle Line (MRT3) project which was announced to be scrapped. 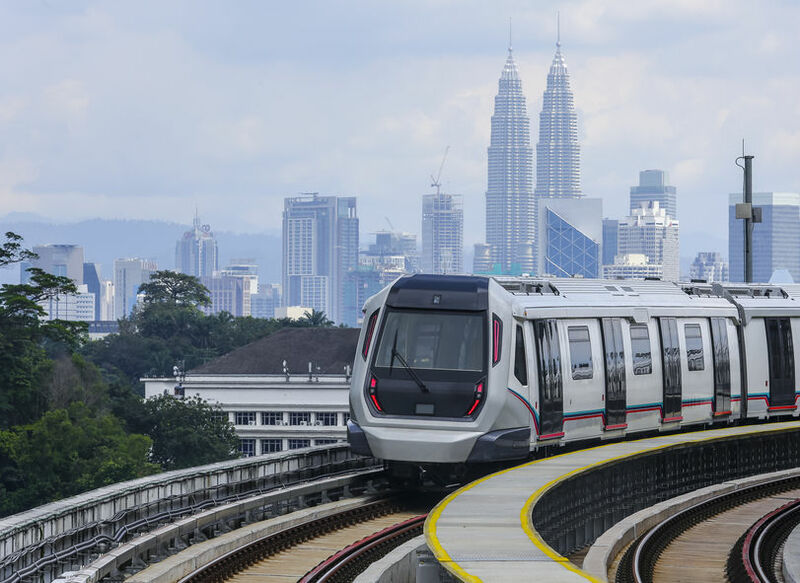 For the KVMRT Sungai Buloh-Serdang-Putrajaya (MRT2) the announcement to re-tender resulted in a public relations war with MMC-Gamuda saying the plight of 20,000 workers hung in the balance. But in the end, an agreement was reached, and costs were lowered to RM30.53 billion for a saving of 22.4%. The battle is to juggle the RM1 trillion debt, while still improving quality and coverage of public transport to keep the people happy, and to fulfill their election manifesto. Measures to improve governance and transparency will ensure future dealings are of good quality, with more affordable prices. The ways of the past must be cleansed.